The winery is surrounded by the gorgeous setting of our vineyards and a beautiful background of Salento’s landscape. In the past years, there was a renovation and expansion with the latest technology in order to improve the processing techniques of the grapes. The grapes, which are carefully selected during the harvesting, are first pressed and de-stemmed, then discharged into the vats. Stainless steel wine refrigerating tanks are used for the vinification and micro-oxygenation. The fermentation process lasts, depending on the vintage, for 8 to 15 days at a temperature range usually between 18 ° C and 20 “C. The main wine-making technique that is used is pumping must over the grapes dregs combined with the punching down . The newly drawn wines are poured in the steel tanks, and, for some of them, there is a stage in the underground barrique cellar. 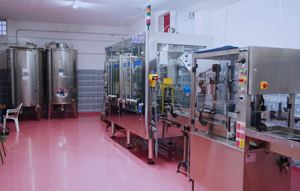 The bottling line is located close to the wine storage, processing and filtration rooms. The underground cellar for the wine ageing is located in the basement of the winery and is a reconstruction from the old concrete tanks. When you go down the stairs, from the first steps, in the heat of the Salento’s summers, the first thing you feel is the coolness with temperatures ranging from 12 ° C to 19 ° C depending on the seasons. The humidity makes the air dense, but is always controlled within a rate of 75-85% due to a slow and continuous aeration. 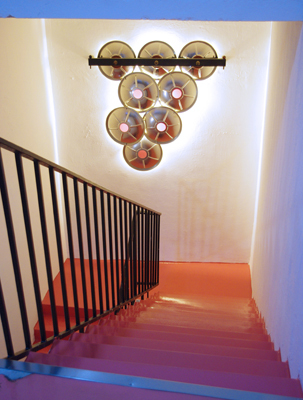 The steps of the visitors make a dull sound because of the floor made of resin, designed to prevent vibrations and disturbance of the aging our wines. In the silent darkness of the cellar, it seems that the bottles breathe slowly. Being in contact with the glass for a long time, it is a crucial factor for the quality of all our wines,that age in bottle for at least 6 months. 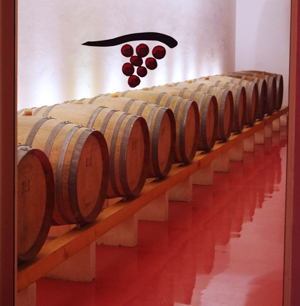 The Bottaia (Barrique Cellar) was designed as pleasant conclusion of the tour within the winery. The barrels are made of French oak Tronçais. The soft play of lights and the scent of wood make it the place where you desire to enjoy our wines. 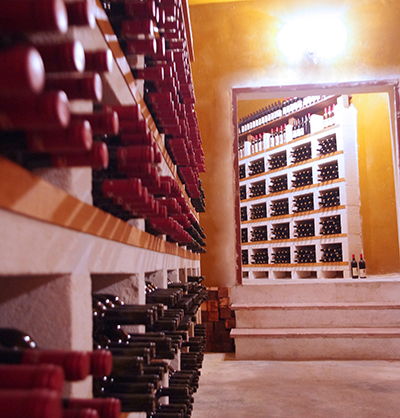 Our assistants will be glad to tell you the magic of the aging process and to let you taste our wines. 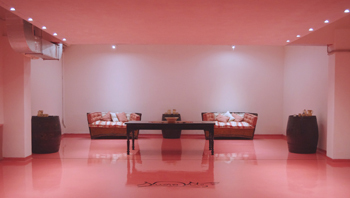 A large space of the plant is used as tasting room where visitors can taste the wines in anexclusive and refined atmosphere.